Bu çalışmada, derin çekme yöntemi ile elde edilen kapların sertliğine kalıp yüzey açısı, sıcaklık ve baskı plakası kuvvetinin etkilerinin belirlenmesi amaçlanmıştır. Çalışmada, 4 farklı kalıp yüzey açısı (0°, 5°, 10°, 15° ), 4 farklı sıcaklık(25°C, 100oC, 175oC, 250oC) ve 3 farklı baskı plakası kuvveti (1200 N, 2400 N, 3600 N) kullanılmıştır. Yapılan deneyler sonucunda sıcaklığın artmasıyla kapların sertliğinin düştüğü, baskı plakası kuvvetinin artması ile kapların sertliğinin çok az arttığı ve hem sertlik hem de şekillendirme açısından en ideal kalıp açısının 5-10° olduğu belirlenmiştir. Ayrıca elde edilen kaplardaki en düşük sertliğin kap tabanında olduğu, kap ağzına doğru çıkıldıkça sertliğin arttığı görülmüştür. Limit çekme oranı 2,14'den 2,75'e çıktığında sıcaklığın etkisi ile sertlikte artış olmamıştır. Sonuç olarak, belirlenen parametrelerin deformasyon sırasında oluşan sertliğin kontrolünde önemli rol oynadığı net bir şekilde görülmüştür. In this study, it is aimed to determine the effects of die surface angle, temperature and blank holder force on the hardness of the obtained cups by deep drawing method. In the study, 4 different die surface angles (0°, 5°, 10°, 15°), four different temperatures (25oC, 100oC, 175oC, 250oC) and three different blank holder force (1200 N, 2400 N, 3600 N) were used. As a result of the studies, it was determined that the hardness of the cups decreased with the increase of the temperature, the hardness of the cups increased with the increase of the blank holder force and the most ideal die surface angle is 5-10° in terms of both hardness and forming. Moreover, it has been observed that the lowest hardness in the obtained cups is at the bottom of the cup and the hardness increases as moved towards the mouth of the cup. When the limit drawing ratio increased from 2.14 to 2.75, there was no increase in hardness due to the effect of temperature. As a result, it is clearly seen that the determined parameters play an important role in controlling the hardness during deformation. N. Şen and N. Kurgan, “Improving deep drawability of HC300LA sheet metal by warm forming” The International Journal of Advanced Manufacturing Technology, 2016, Volume 82, Issue 5–8, pp 985–995  O. Seçgin and V. Savaş, “An experimental investigation of forming load and side-wall thickness obtained by a new deep drawing die”, Int J. Mater Form, 3:209–213, (2010). C. Özek and E. Ünal, “The effect of die/blank holder angles on limit drawing ratio and wall thickness in deep drawing of square cups”, Journal of the Faculty of Engineering and Architecture of Gazi University, Vol 27, No 3, 615-622, (2012). D.L. Greene and J. DiCicco,“Engineering-economic analyses of automotive fuel economy potential in the United States”. ORNL/TM-2000/26, Oak Ridge National Laboratory, Oak Ridge, TN, (2000). M. Cotterell, J. Schambergerova, J. Ziegelheim and Janovecb J., “Dependence of micro-hardness on deformation of deep-drawing sheet metal”, Journal of Materials Processing Technology, Volume 124, Issue 3, 20 June 2002, Pages 293-296. G. Kim and O. Kwon, Formation of abnormally coarse grain structure in cold rolled strip, in: Proceedings of the THERMEC’88 International Conference on Physical Metallurgy of Thermo-mechanical Processing of Steels and Other Metals, 1988, pp. 668–673. 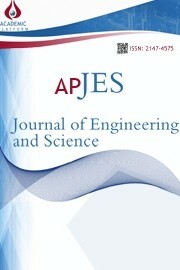 C. Özek and V. Taşdemir, “Experimental investigation of the effects of blank holder force and die surface angle on the warm deep drawing of AA5754-O alloy”, Journal of the Faculty of Engineering and Architecture of Gazi University 32:1 (2017) 193-201. S. Tsuchıda, K. Ito, H. Tanaka and N. Kanetake, “Strain and hardness distributions in the cup wall drawn with ironing of 3004-H19 aluminum alloy sheets”, Journal of Japan Institute of Light Metals, Vol. 59, No. 1, 2009, pp. 24–29. B. Lela, I. Duplančić and D. Bajić, “Parametric and non-parametric modelling of earing and hardness of deep drawn cups”, Materials Science and Technology, 2009, Vol.25 No: 8. W.C. Emmens “Hardening in Deep Drawing”, IDDRG Working Group Meetings, June 8-9, 2000, Ann Arbor, MI, USA  K. Farhoud, A.S. Khan and A. Pandey, “Negative to positive strain rate sensitivity in 5xxx series aluminum alloys:experiment and constitutive modelin”, Int. J. Plast., 55 (0), 232–46, 2014. C. Bernard, J. Coër, H. Laurent, P. Chauvelon and P.Y. Manach, “Relationship between local strain jump sand temperature bursts due to the Portevin–Le Chatelier effect in an Al–Mg alloy”, Exp. Mech., 53 (6), 1025–32, 2013.